Handy Handout #302: Scripting: Role-Playing for Social Success! Scripting: Role-Playing for Social Success! Scripting is a type of role-playing activity that students can do to help them learn about and practice various social skills. Scripting gives students a “script” or written text for what to say or do in a certain situation. With scripting, everything students act out is planned and written in advance, including the characters in the situation and the particular social scene. The organization and structure of this role-playing activity helps students learn about both appropriate and inappropriate social behaviors for everyday situations. 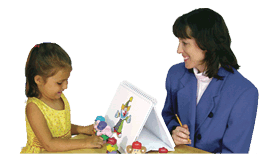 Common scripting topics include general interactions such as making eye contact, respecting personal space, staying on topic, switching topics, and interrupting; peer interactions such as being a friend, respecting differences, peer pressure, joining in, and being left out; and social-emotional skills such as dealing with failure, dealing with embarrassment, and using humor appropriately. Other topics for scripting include conflict management, such as making an apology, and community interactions, like identifying a need in the community and taking an active role to help that cause. How Can Scripting Help Students? Scripting breaks a certain social skill into different steps. Practicing a skill with a script can help students transfer that knowledge and behavior to real-life situations at school, at home, and in the community. As well, scripting gives students the chance to actively participate in learning about social skills by not only modeling social behaviors, but by improving their self-awareness as they discuss and evaluate how they did with the given scene. Scripting uses real-life experiences to teach students appropriate ways to interact with others. Ms. Jarrett I know you’ve already learned several of the greeting skills you’ll be using. Who can tell me what they are? Jennifer Look at the person you’re talking to. Ms. Jarrett Do you remember what that’s called? Ms. Jarrett That’s right. Who can tell me another greeting skill? Phillip Talk at the right loudness. Ms. Jarrett What is that called? Do you remember? Ms. Jarrett Yes, it’s called volume. Who can tell me another one? Ms. Jarrett Yes, facial expression is another greeting skill. You learned about two more. Who can tell me what they are? Ms. Jarrett Right! Posture is one. What’s the last one? Ms. Jarrett That’s right. And who remembers what that means? Keanu How close you stand when you talk to somebody? Ms. Jarrett What distance seems best for greeting our visitors? Natalie I felt uncomfortable standing too close, but standing far away doesn’t work. I’d say we should stand at arm’s length. Emil I agree. We can’t shout at them, but we don’t want to be too close, either. Ms. Jarrett Does everyone agree? Does at arm’s length seem about right for greeting people you don’t know?